← 153. What You Really Shouldn’t Do If You Want to Listen! Approximately 1.2 million people in the Netherlands and Belgian Flanders are estimated to suffer from some form of arthrosis. And the number of people with arthrosis is increasing. Arthrosis is a particularly unpleasant and frustrating affliction. People who have arthrosis wake up in the morning with stiff knees or hips. And it doesn’t lessen unless they start moving. “Just have to get up to steam.” Their joints are painful, in the fingers, wrists, knees, ankles or neck. Movement is painful. It hinders them in their daily lives. 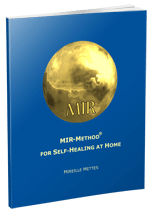 Read the stories of other people with arthrosis who are doing the MIR-Method. Arthrosis is viewed as an affliction in which the amount of cartilage, the cushioning substance between your bones, decreases. It deforms your causes bones, but also causes inflammation to develop because your body wants to do something about the problem. Just as with all other parts of the body, cartilage can repair itself. What is gone can be replenished. What has been damaged can be repaired. We have already seen this with other afflictions. And when you study the self-healing capacity of the body you see how the body does this. But … the crazy thing is that the body doesn’t always do it. Why is that? That’s because your body has some other reasons for keeping the problem the way it is. Because something happened in your past that still bothers you. – Hindered by your brother or sister, so you couldn’t reach something. – Being locked up, as a joke or for punishment (locked bedroom door). – Having to sit, in church, for example, or in a classroom. – Not being able to go where you’d like to; leaving home, for example. These kinds of situations can cause intense anger. If you internalized the anger as a child, because that was wiser, the bitterness, infuriating helplessness or clawing rage remain inside of you. Your body notices this and reacts to it. It reacts as if it is literally “locked up” and stiffens. It causes a reduction in the fluid in the cartilage, which eventually results in the reduction of the cartilage and the worsening of its quality. This doesn’t cause any pain, but the body’s reaction to it, inflammation, does. Inflammations are Great! is the title of an article I wrote a while ago. It means that the body is hard at work shaking off the original feeling of being “locked up” and getting everything moving again. To get you started; to get you moving again. If you want to grab arthrosis by the roots, work on letting go of old intense frustration. The MIR-Method can help you with this. You do the 9 steps, as explained in the instruction video, and by doing it, slowly let go of the old emotions. That especially happens with step 3:’Detach father. Detach mother’, by which you erase the emotions from the events of your childhood. And with step 4: ‘Clear meridians’ which helps to clear the gall bladder and liver meridians. These meridians became blocked by old emotions of anger, rage, powerlessness and frustration. These blockages hinder energy flow, which can cause problems. With step 4, you cleanse the meridians of their blockages, restoring the circulation of energy and causing pain to disappear. Although I’ve only named a few of the steps, I urge you strongly to always do all 9 steps because they cooperate with each other. Meridians will only be properly cleared if the other aspects of your health are also dealt with. You can’t detach yourself from your father or mother, or from other men/women, if you aren’t strong enough to take that step. And what about you? Do you suffer less from the pain of arthrosis, or has it completely disappeared? I’d love to hear about it! Please write about it below. Thank you! My wish for you is that you can lead a pain-free and flexible life! Hi, since I stopped eating animal food 25 years ago, all joint discomfort went away. But I want to tell you about my mother, 97 years old, living alone still. Because her feet hurt, she does have arthritis and rheumatoid arthritis, I rubbed them with some special oil. Meanwhile I said supplement all shortages 3x and the mir~EHBO because she was having digestive problems. The next morning I had to take her to the hospital where they found that she had an imbalance in her blood. Now a week later, she is back stronger and talks about returning to her house. I feel that it was good that she underwent various examinations. It appears that her heart, her brain, and her stomach are okay. This hospitalisation also got a lot of attention from the grand and greatgrandchildren, I think she needed that. LIFE GIVES US WHAT WE NEED EVEN IF WE THINK DIFFERENTLY. Tx Mireille for this method.